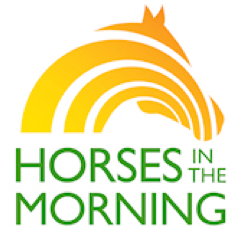 The hosts of the Horses In The Morning (HITM) show, Glenn the Geek (aka ‘America’s Horse Husband’) and Jamie Jennings, keep the funny ball rolling with their lively AM Internet radio show just for horse people. This morning they’ll be talking with ESMA co-founders Liam Killen and Rhea Freeman, plus a slew of winners from 2012. You can listen live via your computer or smartphone from the HITM website. Or, call in to the show with your questions and comments on 347-637-3238. Or, interact live with the HITM team (including producer and ‘chaos control officer’ Coach Jenn) and other listeners via their Facebook page and Twitter stream. Tell others about the ESMAs wrap-up by using the Share button, and THANK YOU for taking a minute to do so.